Barcelona, Spain – From March 28–31, 2017, the 7th edition of the Graphene Conference series took place in Barcelona, Spain. During the largest European event in graphene and 2D materials, Jos Giesbers from Philips Innovation Services was invited to hold a lecture. The Graphene Conference is the main meeting point of the graphene community worldwide. Graphene – a monolayer of carbon atoms – is a material of many superlatives. It has a good thermal and electrical conductivity, a large maximum allowable strain, a low permeability and is only one atom thick. These properties have enormous potential in many applications, e.g. in microelectromechanical systems (MEMS). At the Graphene Conference, Dr. Jos Giesbers described some potentially unique-for-graphene applications. Also, some of the difficulties and workarounds that are related to working with graphene in the context of standard MEMS processing are addressed. Attention is given to MEMS devices regarding processing issues, graphene quality aspects, and options for applications. Jos Giesbers finished his Ph.D. in 2010 at the High Field Magnet Laboratory of the Radboud University Nijmegen. During his Ph.D., he investigated the electrical properties of two-dimensional electron systems in high magnetic fields. Following two post-doc positions in the area of graphene at the Max Planck Institute in Stuttgart and the Technical University Eindhoven, he started working at Philips Research in 2013, where he worked on a variety of topics from graphene to (O)LEDs. Since 2015 he works at the Philips Innovation Services MEMS foundry and specializes in thin film membranes, graphene, III/V materials and MEMS. Find more information about MEMS devices & micro-assembly, one of the key areas of expertise of Philips Innovation Services. 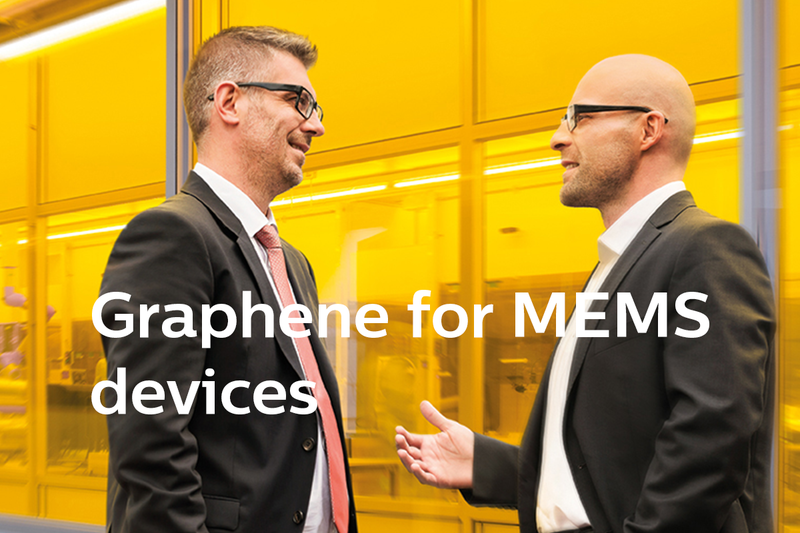 Or contact our experts directly about graphene for MEMS devices.